idely known as a composer of music for the Church, Eugene Englert also has served as a teacher, pianist, organist, choir director and pastoral musician. He earned a Bachelor of Music degree from the Athenæum of Ohio in 1952. After serving in the military for eighteen months in Korea, he received a Master of Music degree in 1956 from the College-Conservatory of Music of the University of Cincinnati. 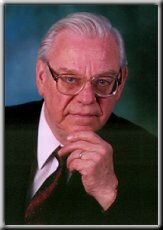 Mr. Englert has been composing for over forty years, having written more than 150 choral pieces. He is published through eleven publishing houses. He has received many commissions through the years, and a concert of his compositions was performed at the Cathedral of Saint Peter in Chains in 1985. During a trip to Rome in 1988, his choir performed his music in Saint Peter's Basilica; they also sang during an audience with Pope John Paul II. Along with composing, Mr. Englert has served as organist and music director in several Cincinnati churches and schools, including his present position, held for over forty years, at the Church of the Assumption, Mt. Healthy, Ohio. He has taught piano privately, and in the Preparatory Department of the College-Conservatory of Music. He has participated at five Symposia for Church Composers, held in Milwaukee, Wisconsin, that produced significant documents concerning the nature and quality of liturgical music in the United States. He has chaired several committees, including the Cincinnati Archdiocesan Music Committee, the local chapter of the National Catholic Music Educators' Association, and has served on the national board of NCMEA. A charter member of the National Association of Pastoral Musicians, he was local chaiman of its national convention held in Cincinnati in 1985, where he was presented an award for Outstanding Contributions to Pastoral Music in North America. Mr. Englert and his wife Ruth, who also holds a Masters degree from the College-Conservatory of Music of the University of Cincinnati, are the parents of four children. They have one grandson. Mr. Englert writes, "I have derived great satisfaction in knowing that so many of my works have been sung in churches throughout this country and others. Hopefully, they are helping people to worship God better through music."